Singing in Spring at Pleasant Ridge Waldorf School! Spring is around the corner and on Friday March 24th Pleasant Ridge Waldorf will be offering the annual Spring Concert for our community at Good Shepherd Church on Main Street at 7:00 pm. Monika Sutherland along with her musical colleagues, Stephanie Pedretti and Mary Weiland, have been preparing the children these past months in choral, recorder, strings and orchestral music and the time has come to throw open the doors and let the beautiful sounds flow forth. There will be a number of selections representing the hard work of a number of our students who have been preparing for solo and small group ensemble contests in which they will participate on Saturday. Students from Pleasant Ridge have done very well in these events and we wish all our students well. Additional support for these musical endeavors comes from Venessa Mills as an accompanist for many of the classes and Dodie Whitaker who offers her expertise in vocal performance. 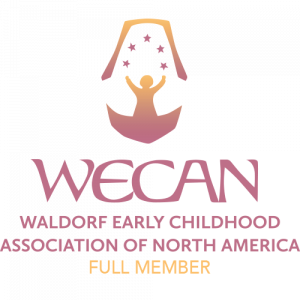 In the Fall/Winter 2016 edition of Renewal : A Journal for Waldorf Education, Monika Sutherland is a contributing writer with her article entitled “Stringed Instrument Instruction in the Waldorf School: Why It Is There and What It Does for the Children.” (click here for pdf) We are proud to have not only a published colleague but an accomplished musician leading our program. and Hallelujah performed during our Fall Music event by our middle school orchestra and chorus. Music isn’t only offered by our professional musicians, class teachers also bring music to their students to enhance the subject matter being studied. The Seventh grade, under the leadership of Jenny Allan shared a rendition of Leonard Cohen’s Hallelujah with lyrics to tell the story of Martin Luther King Jr.
Join us for our Spring Concert. Friday, March 24th at 7:00 pm. Doors open at 6:30 pm at the Good Shepherd Church 504 S. Main Street, Viroqua. A Big Week for Grade Eight!